Over the years I’ve helped thousands of local residents achieve a better quality of life, pain-free without them resorting to medication or surgery. My first goal is to get you out of pain and comfortable. I use a variety of passive and active treatment protocols to achieve the best result. 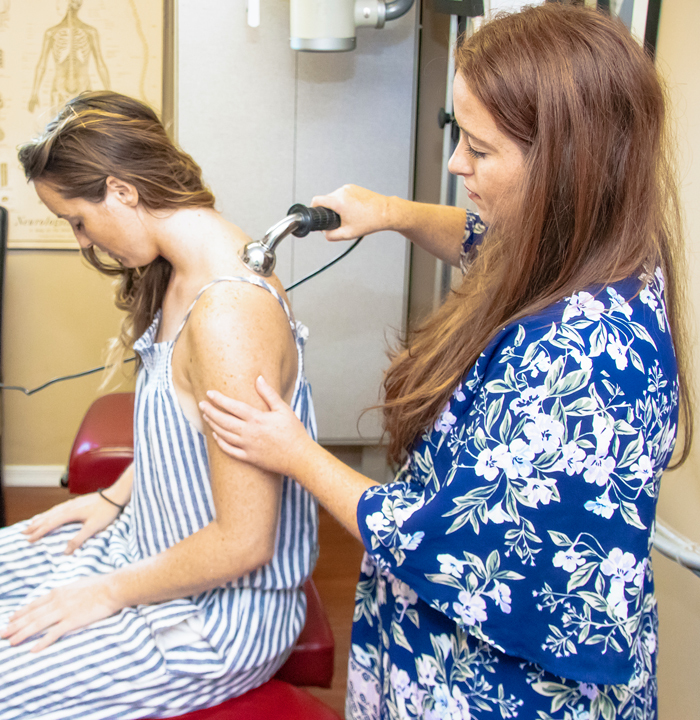 Passive treatments include instrument and manual adjustment, laser therapy, decompression work, myofascial release, active release techniques (ART), intersegmental traction, SOT, ultrasound, and electrical muscle stimulation. I have proven results in treating patients with a wide variety of physical and biomechanical problems. Chiropractic care is perfect for neck pain, low back pain, upper back pain, shoulders, elbows, hands. hips, knees, and feet. 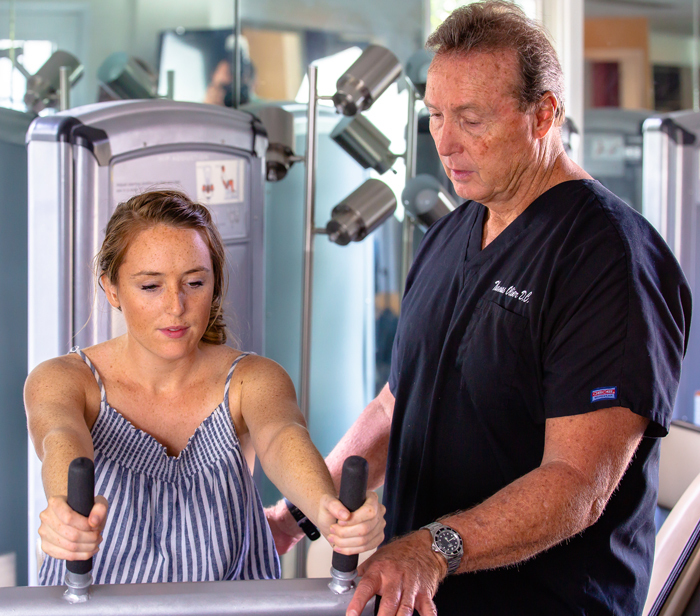 Examples of conditions that we treat are disc conditions, sciatica, rotary cuff, carpal tunnel syndromes, tennis elbow, plantar fasciitis, Achilles tendonitis, meniscal tears, and degenerative hip conditions. 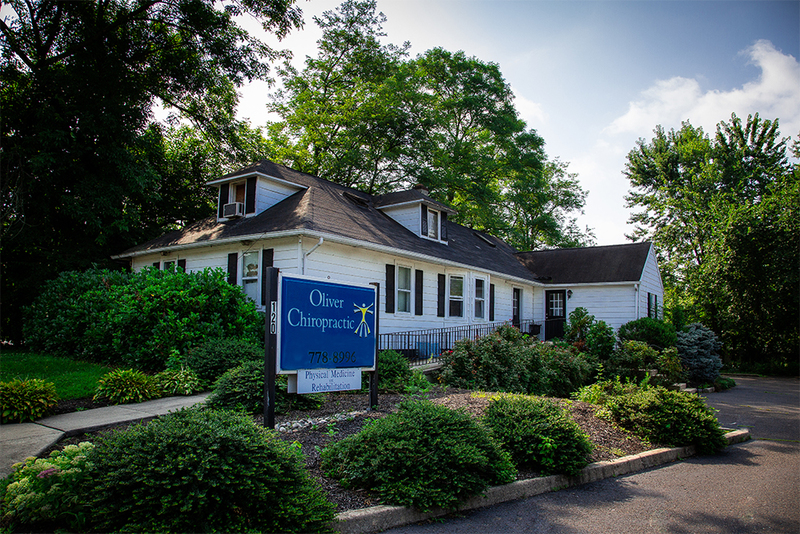 Oliver Chiropractic is conveniently located at 120 East Camden Avenue in Moorestown, NJ. We have parking on premises and a handicap accessible ramp for easy access. I use passive and active modalities to help you stay out of pain. 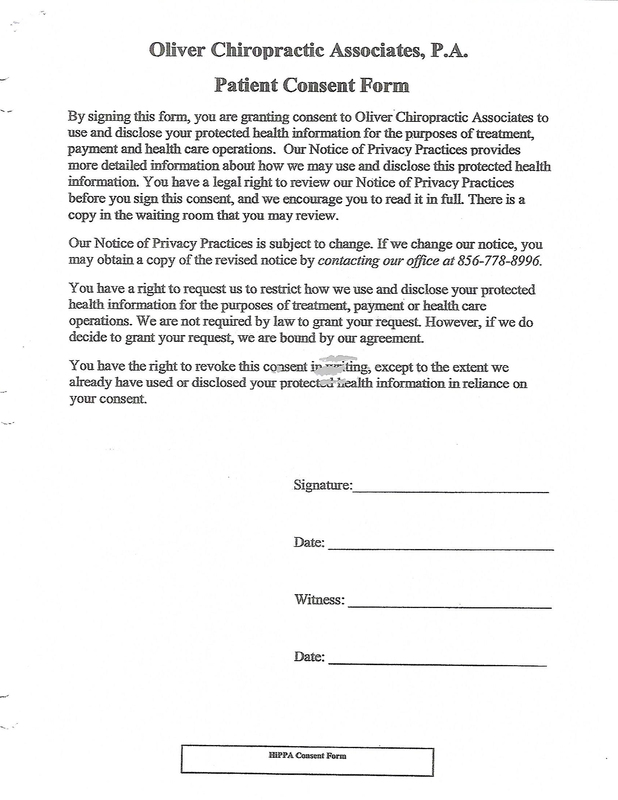 Oliver Chiropractic is a chiropractic office that is designed for your health and wellness recovery. The philosophy of chiropractic care is a natural approach to achieve health. Along with assistance from a structural or nutritional standpoint, your body has the ability to heal itself. I take post-graduate continuing education to stay current with the latest studies and techniques, to provide you with state-of-the-art treatments. I find our patients achieve great results with instrument and manual adjusting. Instrument adjusting reduces pain quickly with accurate high speed and low force adjusting. Every year there is significant research and advances with chiropractor care. I can bring you out of pain, but staying pain-free is the goal. Oliver Chiropractic supports a corrective and supportive approach. Physical rehabilitation brings long-lasting result. 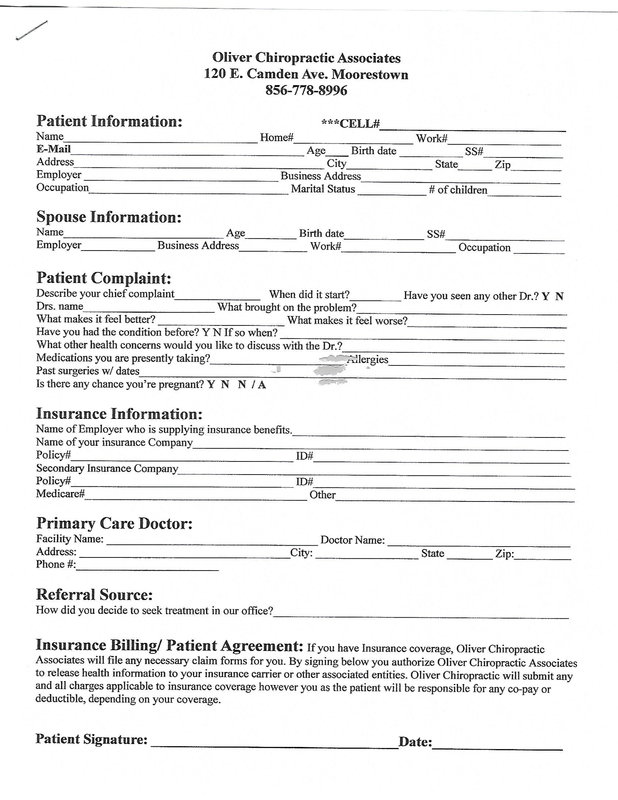 Studies show that patients that remain in a preventive care plan have the best chance of not having a recurring incident. 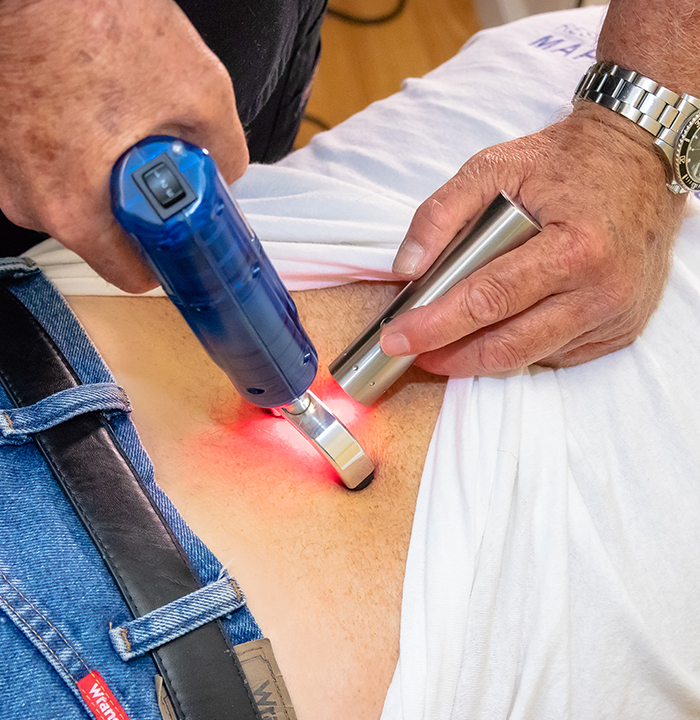 There are different therapy techniques that I use in addition to adjusting. Some of the methods we use at Oliver Chiropractic include decompression therapy, ultrasound. electrical muscle stimulation, laser therapy, intersegmental traction, Thompson technique, SOT sacral occipital technique, MFR myofascial release technique, and ART active release technique. You might have been working in the yard or driving a long distance or standing on your feet all day on hard surfaces, and when you get home, you’re in pain. We treat this condition on a regular basis, and our patients find immediate results. Most of our first-time patients feel a significant improvement after treatment. Sleeping, computers, driving, and a lot of forward-type positions put stress on your neck and upper back. Your head is approximately 12 pounds, and for every inch, your head moves forward, you increase the burden on your neck and upper back. We’ll work to improve your biomechanics. Your body may be out of balance because of day-to-day activities such as computers, gym, sleeping, and driving. We find balancing the upper body with symmetry and balance helps to alleviate many shoulder conditions. I treat rotary cuff conditions on a regular basis with tremendous success. The median nerve runs right up to the middle of the wrist. It gets compressed because of misalignment of the joints from repetitive motion. If treated early there is an excellent prognosis for a quick recovery and in most cases, you can avoid surgery. Hip degeneration occurs because of destabilization of the joint and loss of range of motion. Many hip problems can also cause low back problems. 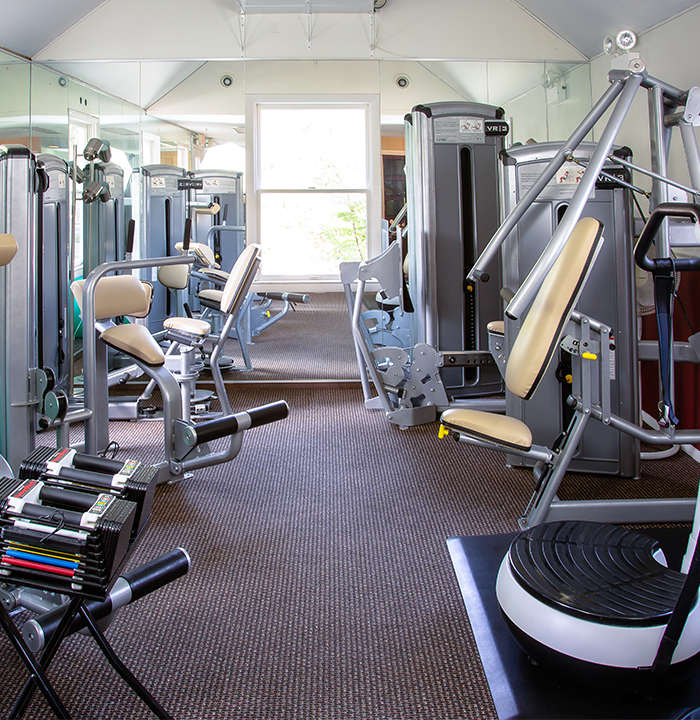 I evaluate your range of motion and I break-up muscle adhesions and strengthen the area through rehabilitation. Generally, there is an immediate change of motion. Structural knee imbalances are caused by an abnormal gait, pronation of the foot, or just the way we walk. Most common foot problems are plantar fasciitis, pronation, neuropathy, and Achilles tendonitis. All of these conditions are treated with adjusting, taping, orthotics and rehab. I’ve found most patients experience a quick reduction of pain and symptoms.